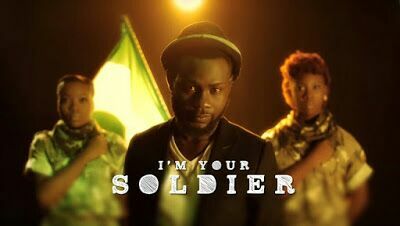 Nigerian Inspirational Artist, PITA has just released the visuals of the inspiring, heart rending song,”I am Your Soldier”, a touching piece that gives you a front seat view into the uncertain world of the Nigerian Soldier, standing at the battle frontiers, fighting for our nation daily. In Pita’s words –“Just the pain of seeing people loveand appreciate American soldiers, giving them smiles and giving up first class seats so they can be comfortable. But at home, our soldiers are a perception of slaps and koboko instead of the symbol of safety and protection. So I wrote the song as a man who isn’t sure, he is appreciated but keeps his word to protect all even in death. All he wants is for you to -PRAY FOR HIM”. This Song is dedicated to these bold and courageous men and women fighting against terrorism, risking their lives to uphold the safety andpeace of our nation, Nigeria.The Song was produced by RotimiKeys and Olaitan Dada with its video shot and directed on location in Nigeria by Oluyinka Davies and Del York International.